For information about the next event, please see the concerts page. We are recruiting an Organ Scholar. Please see here. 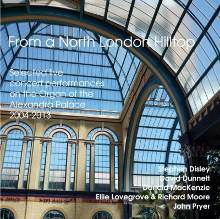 Welcome to the Official website of The Alexandra Palace Organ Appeal. The Alexandra Palace Organ Appeal exists to raise funds towards the ongoing restoration of the Alexandra Palace Organ, which is generally recognised to be one of the masterpieces of its original builder, 'Father' Henry Willis, and its rebuilder, Henry Willis III. The aim of the current restoration is to return the organ to largely its 1929 state - from which the legendary EMI recordings and sound samples date and when it was heralded as "The Finest Concert Organ in Europe", reversing the extensive damage caused during World War II and the great fire of 1980. For more details see a brief summary of the instrument's chequered history, and also a more detailed account in Ivan Barwell's famed book, available here to view online for the first time. For more recent events, we have a news page. Despite the terrible vicissitudes the organ has suffered, a large proportion of it has been restored and playing for the last 15 years. This is largely thanks to the efforts of many energetic individuals representing The Appeal, The Palace and the contracted Organbuilder, Henry Willis & Sons Ltd. The project has also been enthusiastically supported by many Friends of the Appeal. 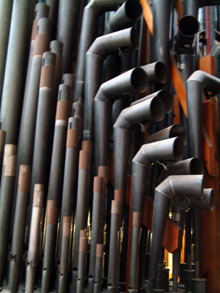 Because the restoration work is partially complete, The Appeal also exists to support and promote the instrument as a concert organ in its current state and to raise public awareness of its historical significance. Regular concerts are held. To hear what the instrument sounds like in concert, listen to the 2006 and 2004 live recordings. We hope that you will find the information presented here interesting and that you will wish to support our work by making a donation, attending a future concert, joining the Friends of The Appeal, or following us on Facebook or Twitter using this links at the bottom of this page.